On a warm and sunny Thursday, April 14, 2016, Dr. Alvaro & Mary Liceaga (Advisory Board Members) joined George and Yoli (Executive Officers) to deliver Alyssa Starter Art Kits (SAKs) to the Arnold Palmer Hospital for Children and a Ronald McDonald House (RMH) in Orlando, Florida! We met with five staff members of the Child Life & Music Department at the Arnold Palmer Hospital for Children: Jamie King, Sheri, Lauren Hamed, Teresa Augelli & Max Corrigan. We gave a brief presentation on the programs and services offered by the Alyssa Alvin Foundation for Hope and its mission of providing opportunities for teens and young adults to create or listen to music, or to create their own visual arts. We informed the staff of our 2015 accomplishments and goals for 2016. We also shared stories of the Gift Recipients, music instrument donations and described the various Alyssa SAKs. 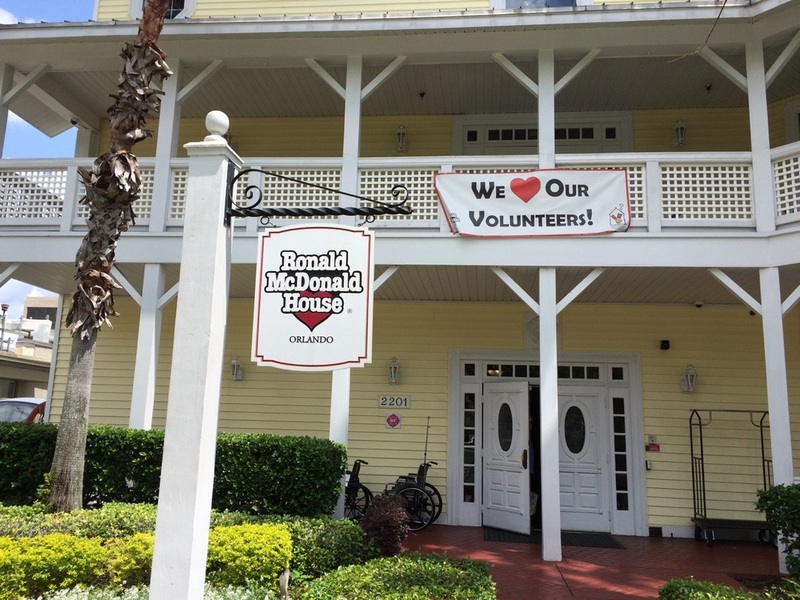 We then visited the RMH of Orlando located on Alden Road and delivered Alyssa SAKs there too! We met Suzanne Cain, House Manager, & Brianna Biggs, Assistant House Manager and conducted a similar presentation as given at the Arnold Palmer Hospital for Children. After our visit, Suzanne, from RMH – Orlando, emailed us and said it was great to have met all of us and how her and Brianna were so impressed by all that the Alyssa Alvin Foundation for Hope is doing to help families with children with life threatening illnesses. Suzanne said, “One of Alyssa’s SAKs has already been given to a young teenage girl battling cancer and she was very appreciative”. We thank all our supporters who are making it possible to continue preparing art kits for more teens and young adults. We are blessed for the opportunity to bring a bit of joy and hope into these young cancer patients’ lives!